As a self-proclaimed cheese-a-holic, it can be daunting and even scary to cut dairy from your diet. 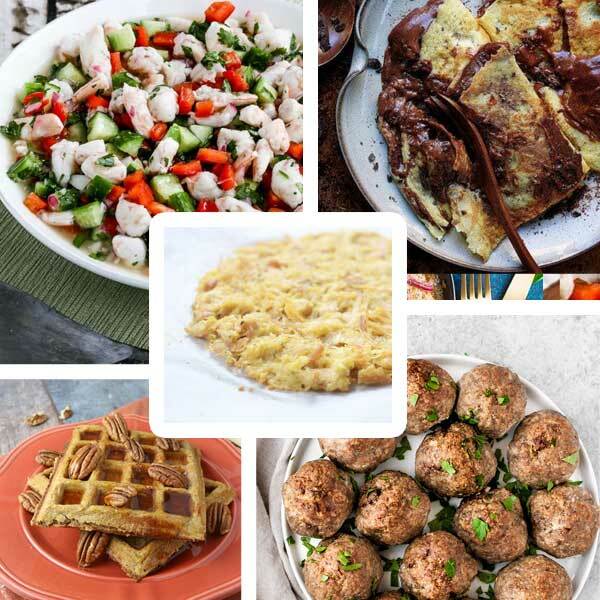 Whether you have a lactose intolerance or are just experimenting with removing dairy products for weight loss, here is a list of my favorite dairy-free, keto recipes that should help get you started. This chicken crust pizza recipe is not only low carb, it’s also free of gluten, dairy, and nuts! It’s a very neutral tasting crust, so it pairs well with strong, rich toppings. Best of all, you probably already have all of the ingredients needed in your kitchen. Being able to enjoy pizza and still lose weight has been an absolute game changer for me. 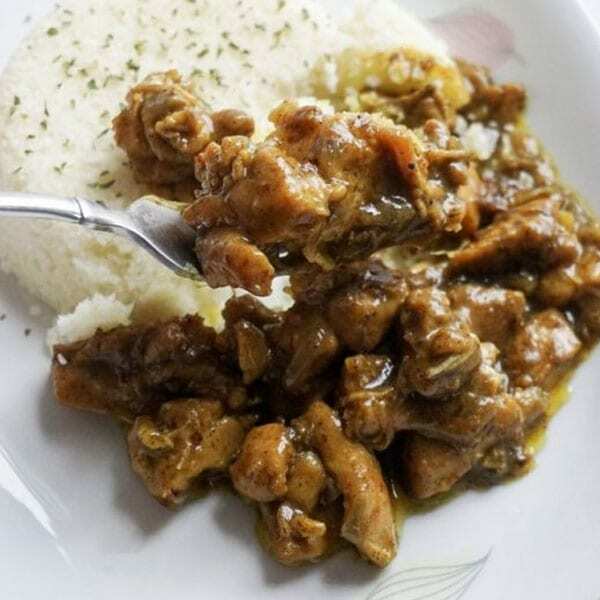 You won’t be disappointed with this Coconut Curry Chicken from Keto Connect. It’s an easy weekday meal that is really delicious! The aroma that floods your kitchen will have you salivating! Serve with cauliflower rice and enjoy the wonderful flavors. You had me at pumpkin pie! Who knew that you could lose weight eating waffles? 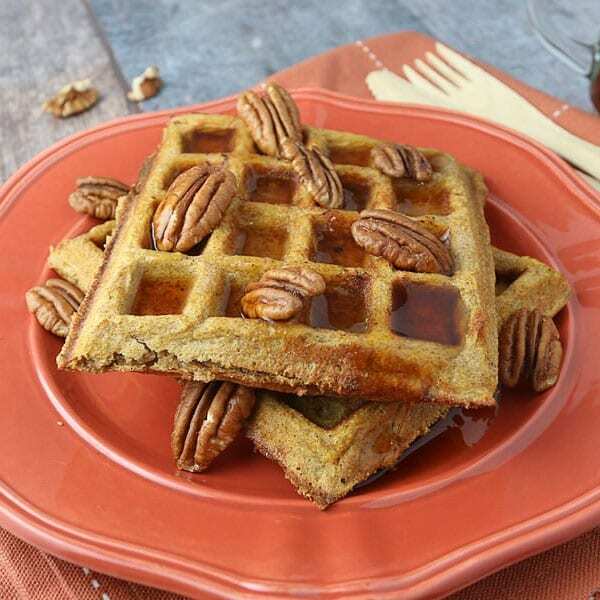 The Pumpkin Pie Spiced Waffles from ruled.me are the perfect blend of comfort and spice. These gluten free low carb waffles are served best with a drizzle of warm almond butter — yummy! 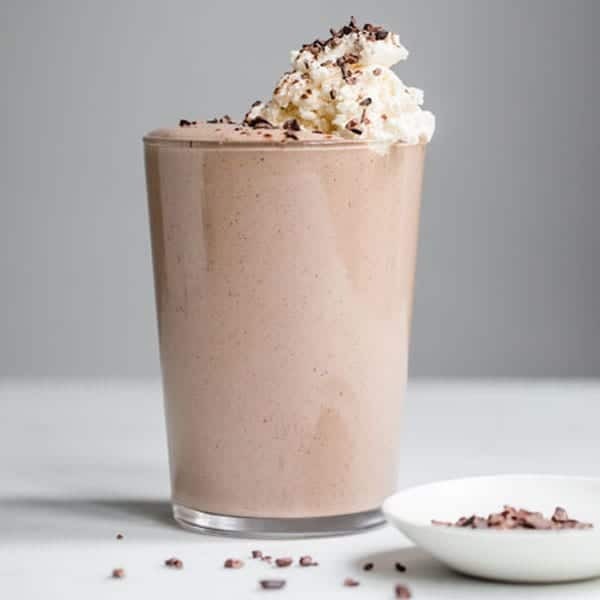 This Chocolate Coconut Smoothie is the perfect compromise when you want something delicious but also healthy. You won’t believe how creamy this one gets! Sometimes I like to add frozen strawberries — so good. It tastes just like a chocolate covered strawberry. 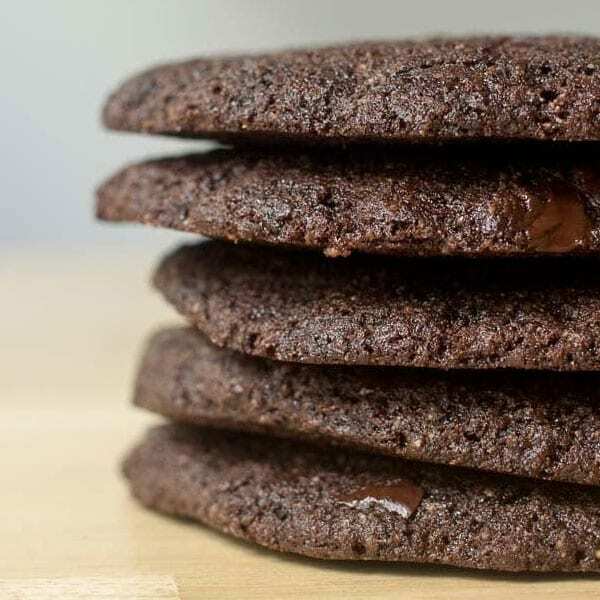 For a true chocolate lover, the Triple Chocolate Cookie recipe from Joy Filled Eats will not disappoint. These coookies are huge — you can easily make smaller servings and have a stash of yummy keto friendly cookies ready to go! Bet they’d go great with a dairy-free ice cream or dipped in a cold glass of almond milk. Everyone loves a bunless bacon burger, but have you ever wanted a bun to go along with it? 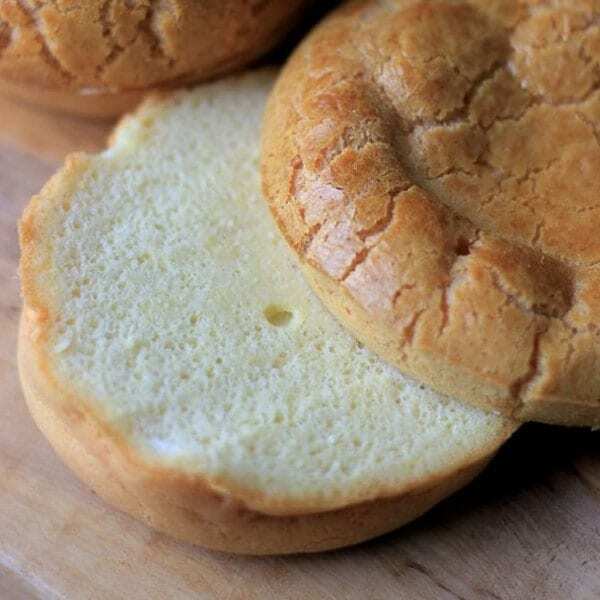 These Ultimate Keto Buns from My PCOS Kitchen fit the bill and are dairy/gluten free. Be creative! This recipe could be baked into a full loaf or even into hotdog buns. Let’s be honest, who doesn’t love ranch dressing? Most are made with buttermilk, but this recipe is clear of all dairy. 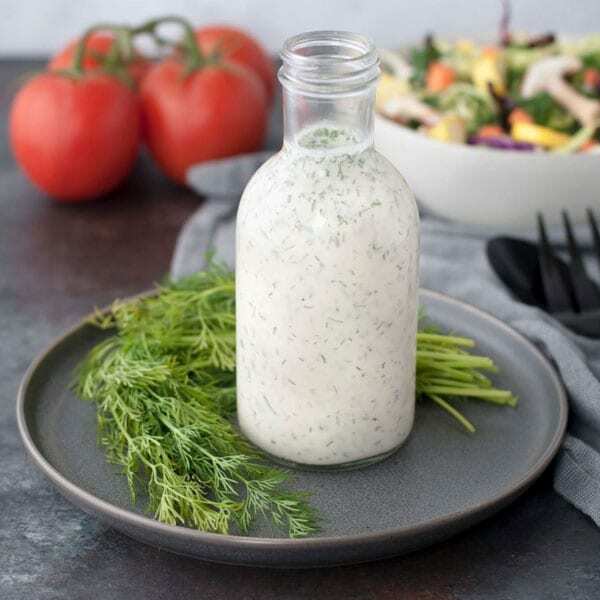 This low carb ranch dressing recipe reminds me of the types you get at pizza shops — perfect for dipping just about anything! 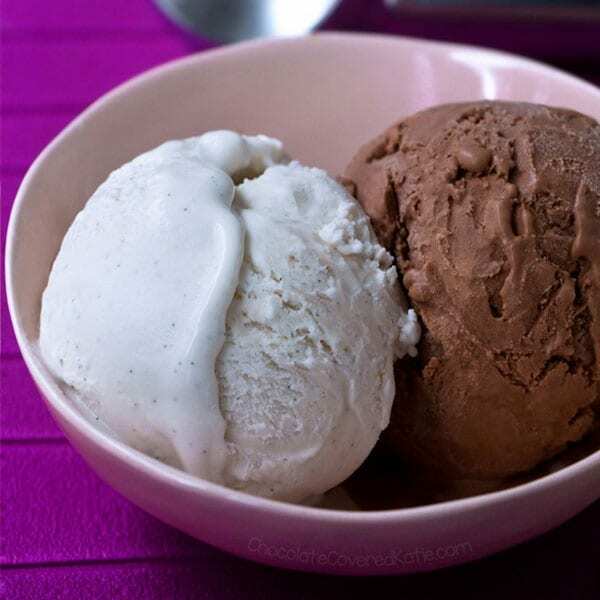 All it takes is 4 ingredients to make this amazing Keto Ice Cream from Chocolate Covered Katie. 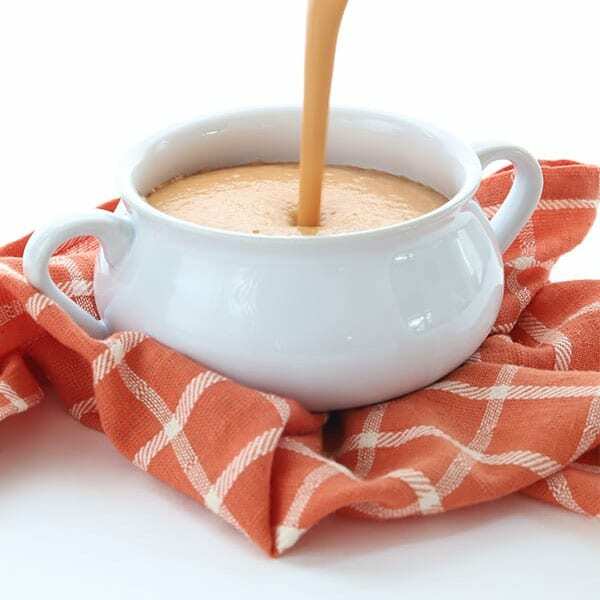 This recipe uses coconut milk in place of heavy cream as the base and is perfect for following a dairy-free ketogenic diet. 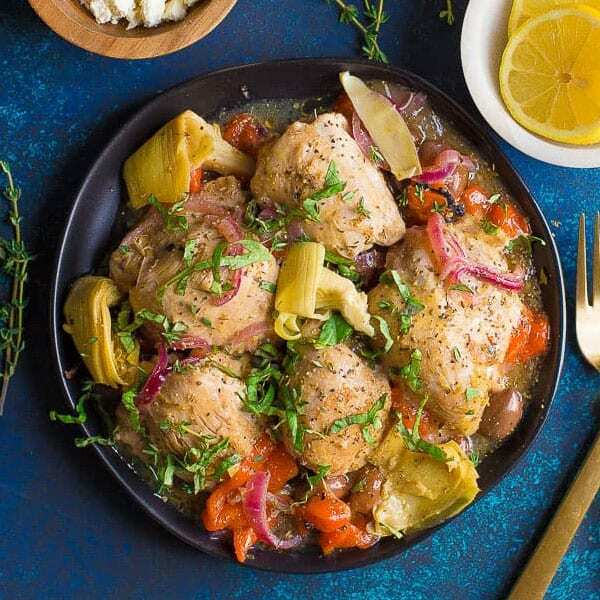 This Greek Chicken from Wholesomelicious is layered with Mediterranean flavors and I can’t get enough of it! Preparation methods include using the Instant Pot or a slow cooker. Obviously you’ll need to forego the optional feta cheese. This recipe is totally delicious without it! Leftovers are great shredded over a salad or chopped into a wonderfully aromatic chicken salad. You can’t go wrong with this recipe. 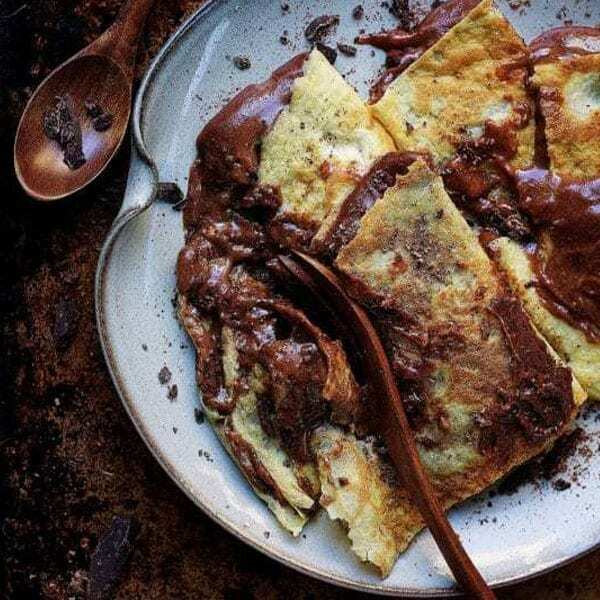 How incredible do these Chocolate Almond Butter Crepes from I Heart Umami look? I could totally see myself getting up early on the weekends and whipping these up. To switch it up a little bit, I’d top these with some toasted, crushed hazelnuts and a dallop of coconut whipped cream. What an indulgence — every bite is a true delight! A good, dairy free meatball is hard to find. 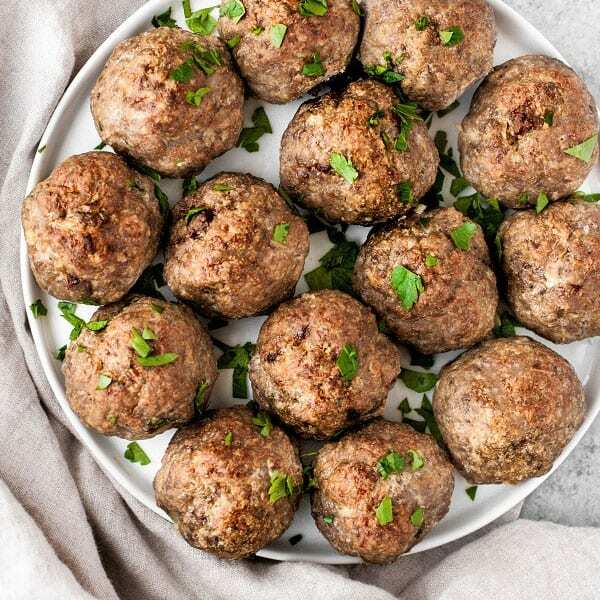 These Keto Meatballs from Real Balanced are legit and won’t disappoint! 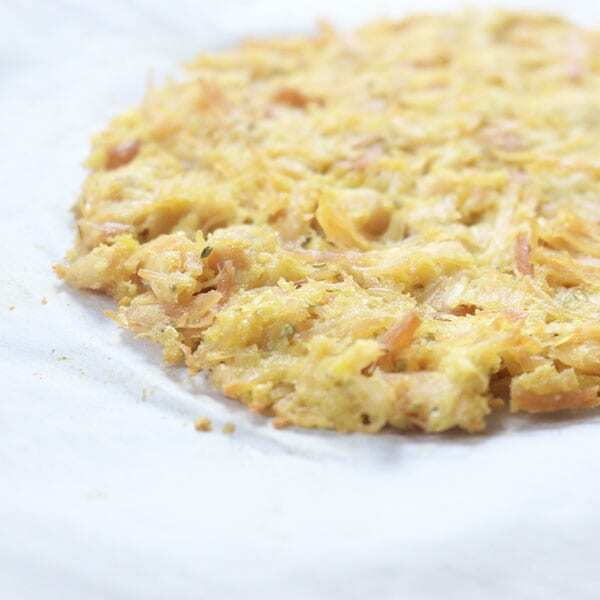 Add them alongside your favorite low carb pasta substitute or chop them up as a topping on your favorite pizza. They’re also great for meal prep and should work with just about any meal plans. Looking for something fresh with a pop of flavor? 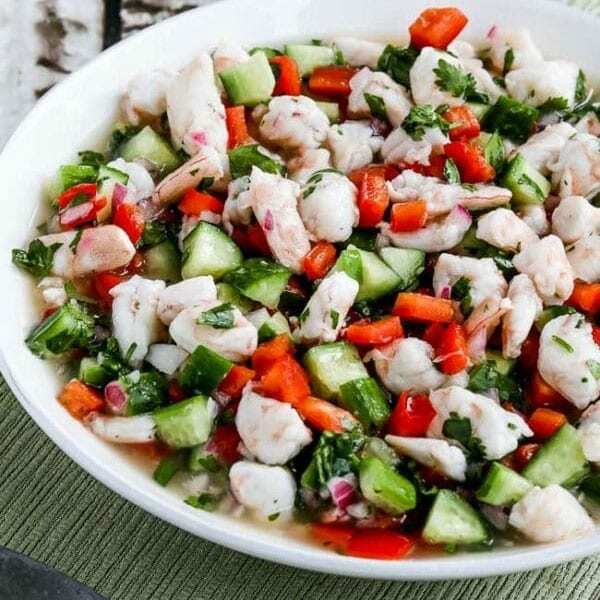 Try the Shrimp Ceviche from Kalyn’s Kitchen — it’s really great! For a twist, serve this recipe on an avocado sliced in half or add in pieces of crispy bacon just before serving.